“Where Legends Are Made” Featuring its biggest advances in over a decade, KONAMI looks to cement PES 2018's reputation as the definitive football title. PES 2018 features more new additions than any other PES title in the last 10 years, and no part of the game has been left untouched. At its heart remains the famed gameplay where users enjoy complete control over the on-field action, using players that behave, move and react just like their real-life counterparts. New additions to the control systems add more fluidity to the game, while a new user interface makes accessing the many facets of PES 2018 a simpler process. 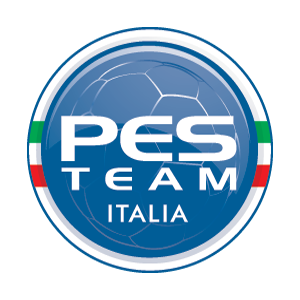 This is the new option file from PESFan Italia ( PESFan.it ). Option file works for PES 2018 PS4 & also PC version. The option file by PESFan Italia also compatible with latest Konami Update Patch & Newest Data Pack. Total compatibility with DLC 3.0 . New uniforms for Frosinone . Transfer market updated for Bundesliga, other European Championships, Chinese Championship, Mexican Championship and other Latin America. Hundreds of new faces . New uniforms for Serie A by @ Buffon99 (Bologna, Fiorentina, Juventus, Naples, Turin), added the World Champions logo to Real Madrid uniforms, some updated national jersey. Added numerous new faces , exultations and call-names . Total Compatibility with DLC 2.0. Enter 3 new teams: Hapoel Be'er Sheva, Once Caldas and Cerro Porteno. Updated kits of some national teams. Added new faces , exults and call-names . Fixed some errors in previous versions. Insert the kit to all the teams in the Sky Bet Championship . Enter 23 South American teams with players, kits and details. Enter 7 Asian teams with players, kits and details. Put the kit on the classics . Assign the most respected stages with the internal editor to all the game teams . Added new faces and exults . Insert the Chinese Super League with players, kits and detailed settings. Insert the kit to all LaLiga teams 1 | 2 | 3 . Inserted many new faces . Insert the kit to all teams in the B Series ConTe.it. Enter the 4 Champions League teams (Apoel, Celtic, Maribor and Qarabag) with players, kits and details. Enter the 6 teams of Europa League (Ludogorets, Maccabi, Lokomotiv Moscow, Istanbul Basaksehir, Red Bull Salzburg and Viktoria Plzen) with players, kits and details. Insert the Liga MX with players, kits and detailed settings. Correct the names of the fake players of the Brazilian championship. Insert the banners for all the game teams. Insert the Bundesliga with players, kits and detailed settings. Awarded the most respected stadiums for the Premier League, Ligue 1, Serie A, Serie B and LaLiga Santander and Eredivisie . Correct the names , settings and logos of the Competitions of: England, France, Italy, Holland, Spain, Portugal, Germany , Brazil, Argentina, Chile, Mexico . Please correct the names and insert the cup logos . Correct the names and insert the logos of the Premier League teams , Sky Bet Championship, Serie A, Serie B, LaLiga Santander, La Liga 1 | 2 | 3, Liga Nos. Enter the detailed settings of Championship, Ligue 1 and 2, LaLiga Santander and La Liga 1 | 2 | 3, Serie B, Liga NOS, Other European, Camp. Brazil, Superliga Argentina and Camp. Scotiabank. Entered the Premier League and Serie A stadiums and rivalries . Enter official convocations for all national fake. Correct the names of classic players . Correct the names of the coaches . Insert the kits of: Premier League, Juventus, Serie B , La Liga Santander , Liga NOS, Bundesliga , Other European, Liga MX . Note : Install DataPack 3.0 and then apply Live Updates (see step-by-step guide).